Deep into the winding roads of St. Francisville sits one of the most notoriously haunted homes in America. Unobtrusive and unsuspecting, the Myrtles Plantation is strikingly different from the vast majority of Louisiana&apos;s antebellum properties. 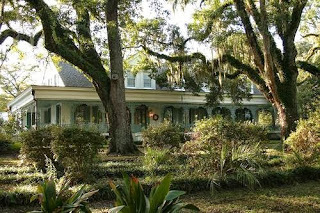 Unlike the stately and lavish antebellum homes of River Road, with their giant columns and picturesque balconies commanding your attention to their histories, The Myrtles sits quietly behind sleepy moss filled oaks. Adorned with lacy ornamental ironwork, the historic home is bursting at the seams with mystery. With just one step on the property, you become engulfed in the dull quiet and almost suffocating stagnant calm. The home is undoubtedly beautiful, but that isn&apos;t what keeps visitors coming back. 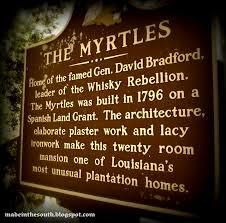 Built in 1796 by General Bradford, The Myrtles has fascinated tourists and locals for decades. However, this isn&apos;t your average "haunted" plantation. Its reputation is built on real experiences - a undeniable number of experiences. The eerie history of the home makes a good story, but the eerie is something you can actually feel. It seems that the 215-year old home lives and breathes, making the visit an overwhelming experience. Chloe, a plantation slave from the 1790&apos;s, is one of the most well known spirits of the plantation. Legend tells that plantation Master, Judge Clark Woodruff, forcefully took Chloe as a mistress. Woodruff, looking to keep her closer inside the home, insisted that she be in charge of caring for his children. While working in the home, Chloe used her position as an opportunity to eavesdrop on guests. Despite several warnings not to do so, she continued the practice and was eventually caught when Woodruff had very influential company in the home. As punishment, Woodruff had her left ear cut off and sent her to work elsewhere on the plantation. Looking to leave the difficult work on the property, Chloe developed a plan to get her work inside the home back. She volunteered to make the cake for Woodruff&apos;s nine-year-old daughter&apos;s birthday party. While making the cake she included poisonous Oleander leaves to make the children ill, with the intention of being able to save the day with an herbal remedy. She knew that this could help her earn her spot back. However, her plan drastically failed due to bad measurement. The two of the children and Mrs. Woodruff ended up dying from eating the poisoned cake. Chloe was hung for her crime and dropped into the river with her pockets filled with heavy rocks. Not long after that, Chloe spirit&apos;s presence became known in the house. Today, the housekeepers will leave the property, only to return the next morning to find furniture inexplicably rearranged. 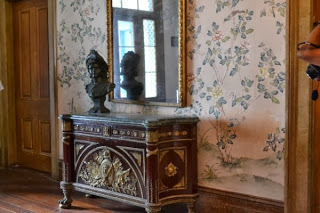 Ladies on tours have been known feel earnings "snatched" from their ears as they pass through the doorway to the gentleman’s parlor where Chloe was caught eavesdropping. Regularly finding earrings in the oddest places, the staff writes it off to the fact that Chloe loves earrings, but only needs to take one for her singular ear. 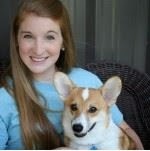 Also, Chloe regularly shows up in tourist&apos;s photographs. However, her story is not the only one to be told. Many other legends surround the home including ghosts of Indians from the Indian burial ground the home is supposedly built on, unclean-able blood stains from fallen union soldiers, a streaked mirror holding the spirits of the fallen Woodruffs, the ghost of a young girl treated by a voodoo doctor in the home, and even a murder victim climbing up the stairs. Think what you will about the legends, but do keep in mind that the plantation has been featured in/on the New York Times, Forbes, the Oprah Show, A & E, the History Channel, The Travel Channel, The Learning Channel, National Geographic Explorer and Good Morning America. I am the first person to be skeptical, but they can&apos;t just all be in this together - especially if we are talking about Oprah here. I have personally visited the home many times. I have never lost an earring or seen any spiritual sights. However, I will concede that the home does have a palpable eeriness to it. Nevertheless, it is a beautiful property to see. Take a trip up to gorgeous St. Fransiville to relax in the giant rockers on the 120-foot veranda or stroll through the lush ten acres of majestic live oaks. The restaurant on property, The Carriage House Restaurant, is fantastic. 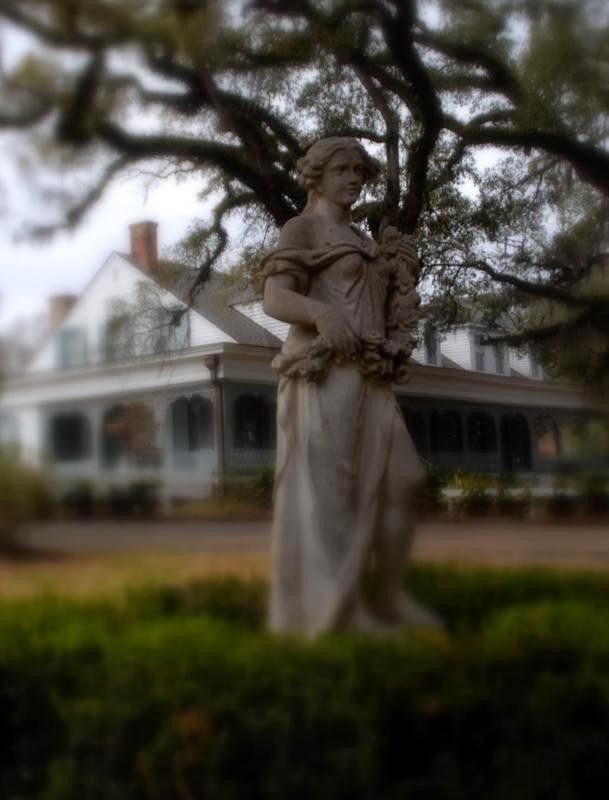 This month don&apos;t miss The Myrtles Halloween Experience. Mystery Tours begin at 6 PM each evening with the last tours beginning at 9 PM on Friday, Saturday and Halloween (Oct 18, 19, 25, 26 & 31 2013.) If you&apos;re willing to test your luck against the paranormal, book an overnight stay. Today, the plantation is also used as a bed and breakfast. It is the perfect fit for a Halloween get away. For more information on tours or overnight accommodations visit their website. What&apos;s your favorite haunted location in BR? Have you ever seen anything spooky at the Myrtles? Drop us a line in the comments!